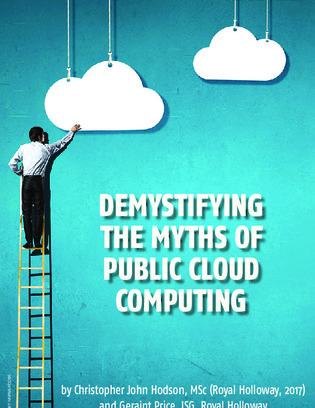 Cloud computing is a growing trend in all industry verticals. Multi-tenant solutions often provide cost savings while supporting digital transformation initiatives – but what about the security considerations? Are cloud architectures inherently less secure than systems we build within our own datacentres? Does cloud introduce a new set of threats and vulnerabilities? In his thesis, Chris Hodson looks into the constituent components of public cloud ecosystems and assesses the service models, deployment options, threats and good practice considerations.